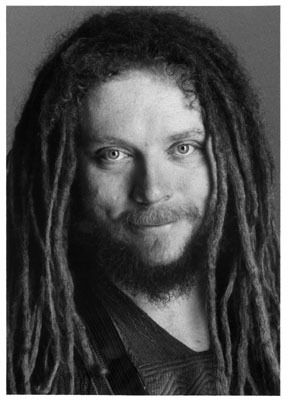 After reading my recent post “‘Free’ and the Destruction of Worth,” reader Brian Auten sent notice of a compelling Salon interview with tech futurist Jaron Lanier—“The Internet Destroyed the Middle Class”—in which the polymath suggests he and other prognosticators underestimated the negative impact the Internet would have on our lives. As a musician, Lanier thought the personal freedom offered by the Internet would enable music makers to take greater control of their careers and enhance their freedom to create the kind of music they wanted to make, free from corporate interference. Sadly, the Internet has instead reduced the net worth of musicians and created a career wasteland for many of them. In a bold confession, Lanier admits he was shortsighted concerning the negative impact, saying his naiveté helped fuel the downturn. Lanier goes on to note that rather than freeing people to do what they want, the Internet has destroyed aspirations—especially those related to jobs. The promise that the Internet will let us pursue the job we want to create for ourself has instead been replaced with the reality that it and other tech tools are allowing fewer and fewer people to do the work that once employed thousands, leaving no options for the displaced. Do corporations have an ethical responsibility to society to create jobs simply to employ people, even if technology has rendered those jobs less essential? This is a question that has bothered me since the economic meltdown of 2008. Because it seemed that at one time companies DID stay loyal to employees whose jobs were less essential. There was a long view that a working middle class was universally better than a nonworking middle class that would slide gradually into poverty. And it may very well be that attitude of support for the less essential employee made America great. Globalization and the race to the cost bottom may have put pressure on companies to abandon this ethic, but the 2008 meltdown pretty much sealed the deal in their collective minds. Which brings me, as it always does, to the Church. In the fin de siècle period (around 1900), the American Church was actively addressing many changes in American business. As more women entered the workplace, the Church was concerned for their welfare, especially in what could have become a predatory environment for young, inexperienced women moving from farms to the burgeoning big cities. And this was only one area of concern and active involvement. Speaking to the business world was a huge concern for the Church. Today, the Church seems more concerned with how to start a workplace Bible study than any greater vision related to social change and the general welfare of employees. This paradigm shift has worked against the Church in the long run. American Christians no longer prioritize general human welfare. In the case of the typical workplace, the Church’s concerns are not the ethics and operation of that workplace and how Christ can impact it, but the Church thinks solely of how to preserve some aspect of institutional church operation within that sphere. I contend this is a wrong, selfish mentality. We Christians should be less concerned with preserving traditional church functions and more with the general welfare of people. It’s as if we have no more confidence that the Church can survive because we are afraid of the world’s successes against traditional Christian bastions. So we operate from a position of desperation instead of from our position of strength in which all the riches of heaven are on our side. What is today’s Church saying about the ethics of hiring people simply so those people can have a job? And how can this NOT have an impact on the Church itself? The starving man is more concerned with food than with the Gospel, but give him that food in the name of Jesus and his ears will suddenly open to the message of Christ. We see this demonstrated again and again in the Gospels and the Book of Acts. What is the need? Meet the need. Then speak about Jesus. It could not be more simple. In addition, the Church has decided in the last century that it has nothing to say to corporate leaders about other aspects of employee welfare. And where is the boldness, in the midst of the ongoing ethical meltdown in big business, from a Church that should be able to promise those businesses that if they give them their people, the Church can return a more ethical employee? Instead, the primary Church goal is relegated to fighting the corporation to ensure that a handful of employees can enjoy a lunch break Bible study in a back room someplace. Yes, that may be needful, but God help us, the vision is so vanishingly small! What tech has done to the workplace and general employment MUST be something the Church, like it once did 100 years ago, speaks to. Tech is increasingly outpacing the ethical answers the Church once provided to society. In other news, it is now possible to print guns with 3D printers, those printers available to the average consumer. What does this or any other tech-driven issue mean for the Church? Are we Christians asking these questions? If so, where are the answers? Is the Church simply in survival mode—or are we Christians actively working toward addressing the most intractable issues of our day, issues that, in the end, affect every person on the planet? If the Church can’t answer these questions, who will? you say in this post “Do corporations have an ethical responsibility to society to create jobs simply to employ people, even if technology has rendered those jobs less essential”? This is a spiritual problem. How can corporations feel this need and ethical responsibility if they are ‘dead’ so to speak? Hearts are hard. Minds are corrupted. I’m thinking that a template has already been set in motion for what the world is planning to change into. Ethical may not be a part of this template. Slavery of some type or another of people will be. The using and disposing of people will be also. This is the mind of the wicked. This is the mind of the Devil himself. Should Christians use up our energy fighting for the ethical against a world wide monster? A beast? A beast, made to live and die without hope and without God? Our main job is to build up and preserve what we have in Christ. In doing this, there is power and strength to attend to other matters. Right now the ‘church’ is a sinking ship in my mind. False leaders are abounding in her and enjoying primary leadership of the saints. I am speaking of the ‘church’ we see on the city block. The place where ‘Christians gather to worship’. God’s church will be preserved I believe. This church consists of believers who are abiding in Christ and who have been made new creations in Christ. Who make up a building that is not made by the hands of man, but rather by the hands of God as the Bible says. The ‘beast’ is going to control the entire economy, right down to who can even buy or sell the smallest thing. In days past in life during the eighties and nineties we couldn’t understand this being possible. Now we see that it is entirely possible. This has been a period of 25 years or so. What is to come within the next 25 years is exponentially greater. Beyond sustainability. I think there is a muddling of questions here. Do corporations have an ethical responsibility to create jobs that are irrelevant? Absolutely not. Corporations are legal constructs to facilitate the investment of capital and are responsive ultimately simply a reflection of the will of their shareholders. Corporations are as ethical or unethical as the shareholders. Should the church expect and demand that corporations hire people into positions that are obsolete? Not at all. That is little different from demanding government give people welfare and food stamps. Now if you ask if the church should do more to meet the needs of people rather than hiring another youth pastor or building a new multipurpose building or any of the other myriad ways we spend money? Absolutely. We spend millions upon millions making existing Christians more comfortable and making “worship services” more convenient rather than using our vast wealth to reach the lost and feed the poor. The church has no business pointing a finger of blame at corporations when we squander money on real estate and subcontracted professional ministers. another fantastic post thanks. Have been thinking on this as well. Wealth transfer is not just happening in illegal ways but many legitimate ways as described above. So low wages is an issue, but unemployment also is. Something is wrong when someone can make billions before or during their twenties. Especially when the magical trickle down just isn’t happening proportionately. Maybe if janitors at facebook were making 6 figure salaries it would make more sense in a bizzare way. Concentration of wealth is a huge problem because those individuals don’t consume all that much when then means instead of 1000 millionaires contributing to the economy, we have one individual who has more money than they can ever spend. Another reason the system will implode especially as more of the voting masses get fed up. As you said in your previous post a lot of non arbitrary work is being done for free or too little. It certainly is a double edged sword. Jobs are being reduced or outsourced overseas… plus lower wages relatively speaking are being paid. Non christians are leading the way in challenging these practices and issues for the most part. Sometimes they can see things as they are more easily because they don’t have certain worldview and theological filters. As more middle class christians feel the pinch they will increasingly demand their leaders provide new answers. Many have rather pulled the plug on churchianity to save their faith and sanity. This country is imploding right before our eyes. Don’t expect any help from the Republidemocanicrats: they are nothing but a conglomeration of fools, knaves, and lunatics. Before the Internet, I practically had no audience. I also made no money. With the Internet, I had a fairly popular Web site for my poems (which is gone because I was tired of being cheated by my domain registrar, plus the methods I used to promote my site were obsolete, and I also was tired of not making any money). Comparing Kodak’s peak employment of over 140,000 people to Instagram’s 13 is shortsighted. In the Eighties, when Kodak was at its peak, the personal computer, cellphone, and Internet were in their infancy. Cable television was in its toddler stages. Instagram would not exist without powerful PCs and cellphones and broadband (not dial-up) Internet. And all of that infrastructure employed people along the way, and still employs people today. How many people turn their digital photos into prints at the corner store and on home printers? How many prints are made, and who manufactures those materials? This is like blaming Gateway Computers, Microsoft, Hewlett-Packard, and Swingline for print shop closings and layoffs because I figured out how to print my own poetry at home. Without inexpensive paper and toner and hardware and software, I would not have been able to print my own poetry. I also would not have been able to afford print shop prices. Who exactly would be better employed because I could not afford to print my poems? I could have made some coin back in the Nineties if I had leveraged my Web site skills into a better paying job than what I had. Instead, I focused on art and worked at a gas station (which closed years ago and has been demolished). Whose fault was that? Hint: MINE! IT WAS MY FAULT! It was not, by the way, the Church’s fault that I worked at a gas station and wrote poetry in my spare time instead of making better pay at a Web site designer while writing poetry in my spare time. My pastor and the apostle of my church, plus many other Christians, told me to get into computers! I did not want to. I wanted to be Mr. Poet. I don’t understand why it is that some things turn out how they do. I wrote that “nonsense” post recently, for instance. I don’t know why some sure things go so badly. I don’t know why people get outrageous amounts of “godly” confirmation on a direction, only for the outcome to be crushing. I don’t know why we rush to make spiritual excuses for why bad things happened when good things were expected. One thing that really bothers me in the Christian community is that people feel driven to explain why such and such happened the way it did. If any oddities exist in an outcome, it’s as if a failure to come up with a spiritualized explanation somehow negates the reality of God and His care for us. We seem unable to come to grips with any inkling that some things just ARE. No use trying to explain them. Heck, even Jesus didn’t go there when pushed on the issue of the Tower of Siloam. Instead, why don’t we rally around those who suffer the effects of unexpected outcomes and unforeseen afflictions? well said. i’m tired of forced explanations. Just let it be what it is and stop trying to take away the mystery from life. 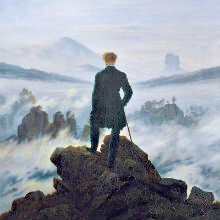 We have bought into the culture of demanding certainty. Brene Brown says it well that often people just need someone to sit in the dark with them rather than trying to turn on the light and make it all better…. because weakness and uncertainty frightens or disgusts us. I think one reason is that every ‘good thing’? that happens to us we say must be God. We don’t really know, but the Christian will say ‘God did this for me’. ‘God did that for me’ to everyone they know. We are trying to eek out some way that God is involved in our lives. This is straw and hay. Nothing that we should be building on or using as a foundation for our faith. We certainly can say ‘thank you God’, nothing wrong with that, but we are making decisions as Christians based on ‘fluff’. A confirmation is sometimes just that. People wanting to encourage us in our decisions. Should just anyone go to the mission field? What about being called by God? How was that person called by God? They just one day decided that that is what they were going to do? Because it sounded godly? Sometimes we are waiting. We see this given as an example in scripture. Jesus waited for the timing of God in his life. His ministry did not take ahold of his life or the ‘right time’ did not come along until Jesus was nearly 30 years old. Jesus knew at 12 years old who he was, and who his Father was. We don’t sit around in our lives, but we need to be careful about ‘I’m going to do this, and I’m going to do that’, when we have nothing from God himself.